If your kids are like mine....they LOVE fruit snacks! If you are like me....you secretly love them also. 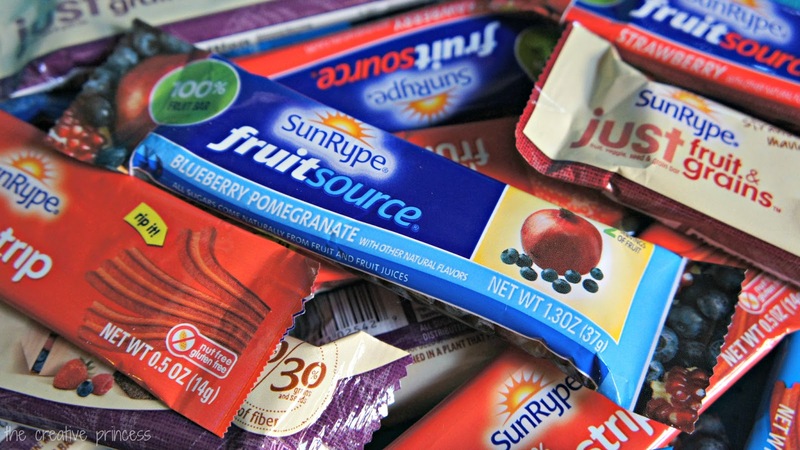 A few weeks ago the lovely people from SunRype USA teamed up with the lovely people from SheSpeaks.com and sent bloggers across the country with a box FULL of SunRype goodies! Inside the box were 3 different types of snacks with 2 different flavors each. 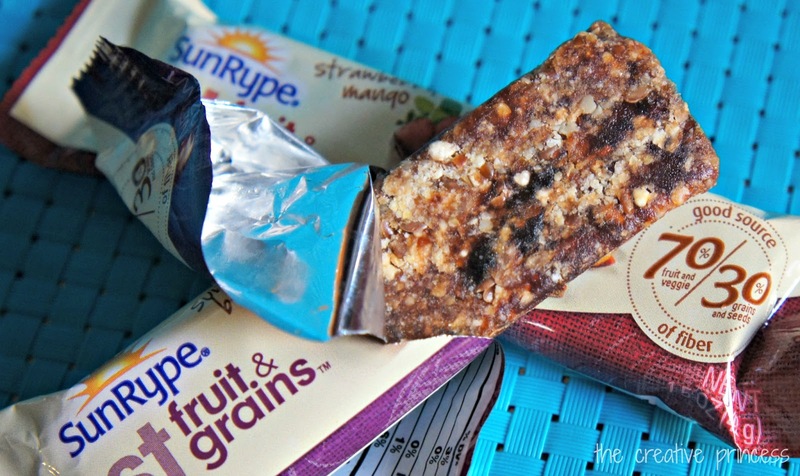 First, there were the Fruit & Grains bars. I have to admit, it did not look very appealing at all. But, I put that aside and bit into the bar anyway. It really wasn't THAT bad. Please know that I normally do not eat things like this anyway. 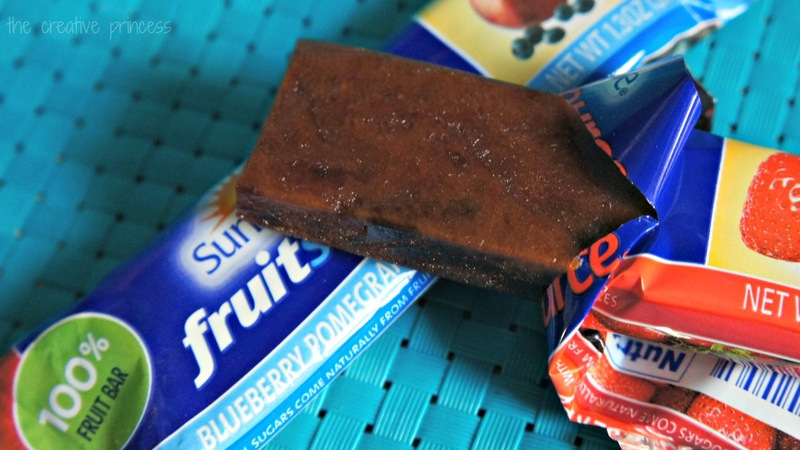 I tried the summer berries bar. It was good, but something I will more than likely not pick up at the store. If you normally eat bars like this, I bet you would love these. There are lots of grains in the bar. The texture of the bar is very grainy and just breaks apart in your mouth. Out of the 3 these were my least favorite. Next I tried the fruit bars. 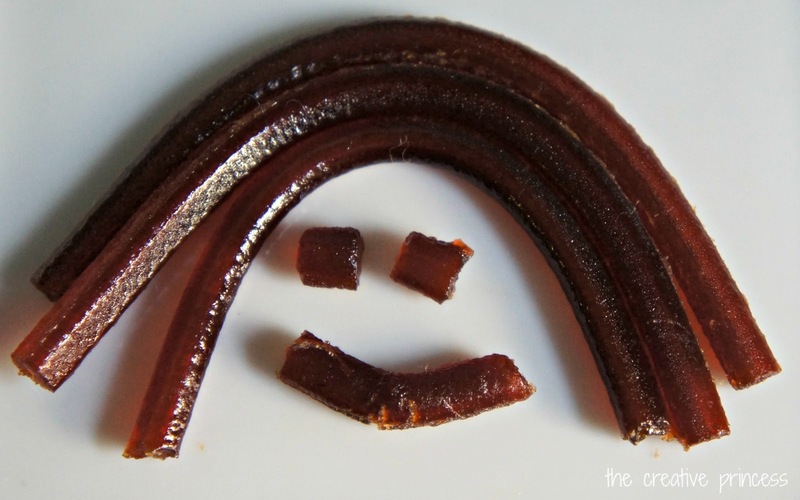 I am a BIG fan of natural fruit leathers and this is just a giant version of a fruit leather, to me. I tried the strawberry and oh my gosh! It was SO good! These are the PERFECT afternoon snack for me! I looked up the points value on these bars but now I can't remember if they were 2 or 3 points. But, either way, they are totally worth it plus, each bar counts as 2 fruit servings! Mads tried these as well but did not care for them. That is fine, I will eat them all! Finally, we tried the fruit strip. These are perfect to toss in your child's lunch! Each little strip pulls apart so there is a fun factor with these. These are VERY chewy/gummy/sticky. I did not like that aspect but I am also not sure that can be helped. Both girls liked these, both flavors were great! 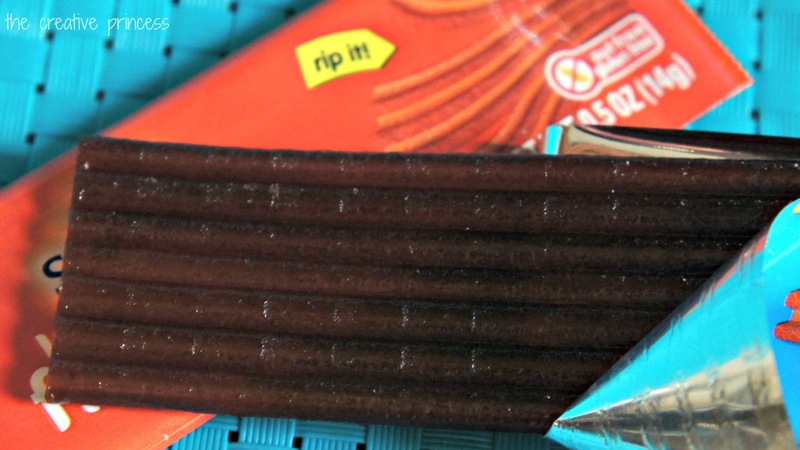 The strips are fun to pull apart and play with! Let your kids play with their food once in a while! In the end, the fruit bars and strips will definitely be picked up at the store the next time we see them, the fruit and grain bars....well....I am sorry but I am going to have to pass on those. You can find #SunRype on Facebook! Be sure to like their page, they have a coupon up right now for B1G1 Free! But hurry, there are very limited qualities! I was provided with SunRype product through SheSpeaks. This is a sponsored post, all opinions are my own.